You can't make this up. 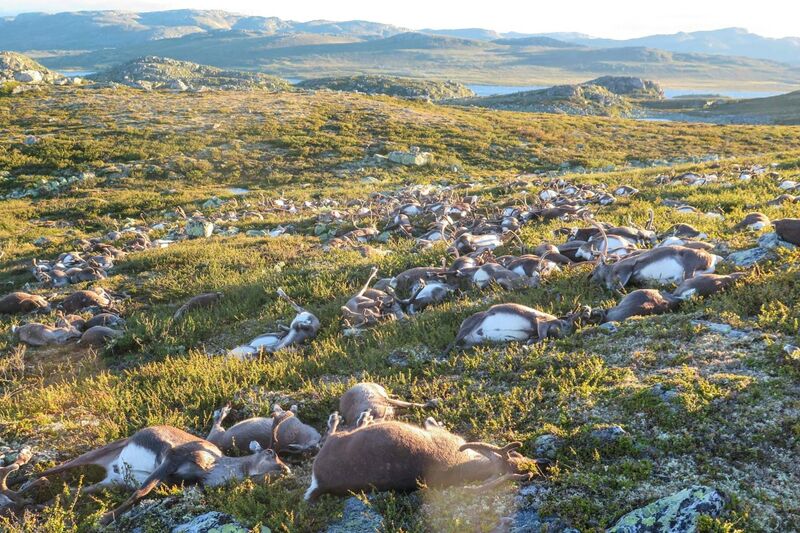 323 reindeer were struck by lightning and killed in central Norway. ...There is no faithfulness, no love, no acknowledgment of God in the land. There is only cursing, lying and murder, stealing and adultery; they break all bounds, and bloodshed follows bloodshed. Because of this the land dries up, and all who live in it waste away; the beasts of the field, the birds in the sky and the fish in the sea are swept away.